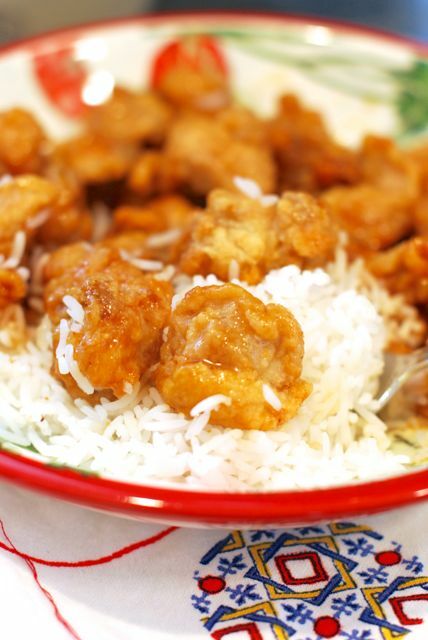 We are big fans of Chinese takeout, but not the bloat that comes the next morning. Lately, I have been taking takeout into my own hands and making version of Panda Express’ Orange Chicken at home on my own stove. It turns out it is not that hard whatsoever! This simple oven baked orange chicken has become our favorite new winter dish that truly tastes just like the takeout version! 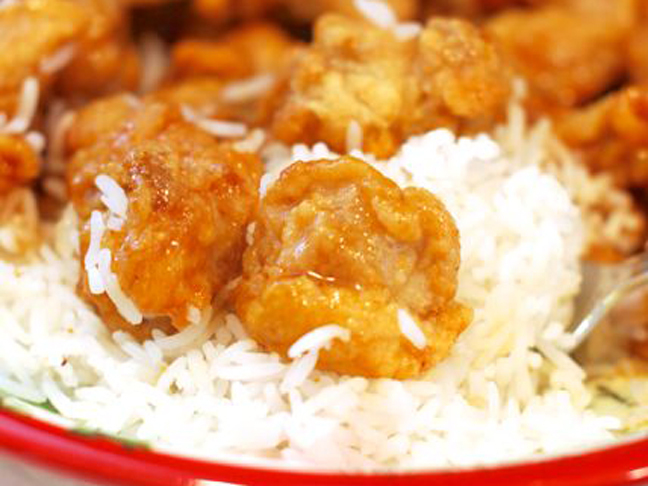 Tastes just like the real thing without the next day takeout bloat. My kids gobble this one up. Step 1: Preheat the oven to 350 degrees F. Beat the eggs together in a small bowl and set aside. Place the flour in a small bowl and set aside. Step 2: In a large bowl toss the chicken with the salt and pepper. Gently toss in the cornstarch. Then dip it in the egg mixture and, finally, dip it in the flour mixture to coat. Step 3: Heat the oil in a large saucepan so that it is ¼ inch thick. Add the chicken to it and cook for 4 to 5 minutes, turning frequently, until the chicken is cooked through. Step 4: Transfer the cooked chicken to a 9x13 baking dish and arrange it in one even layer. Drizzle half of the sauce over the top and bake the chicken for 30 minutes, turning once at the halfway mark. Check out all of our copycat recipes here.